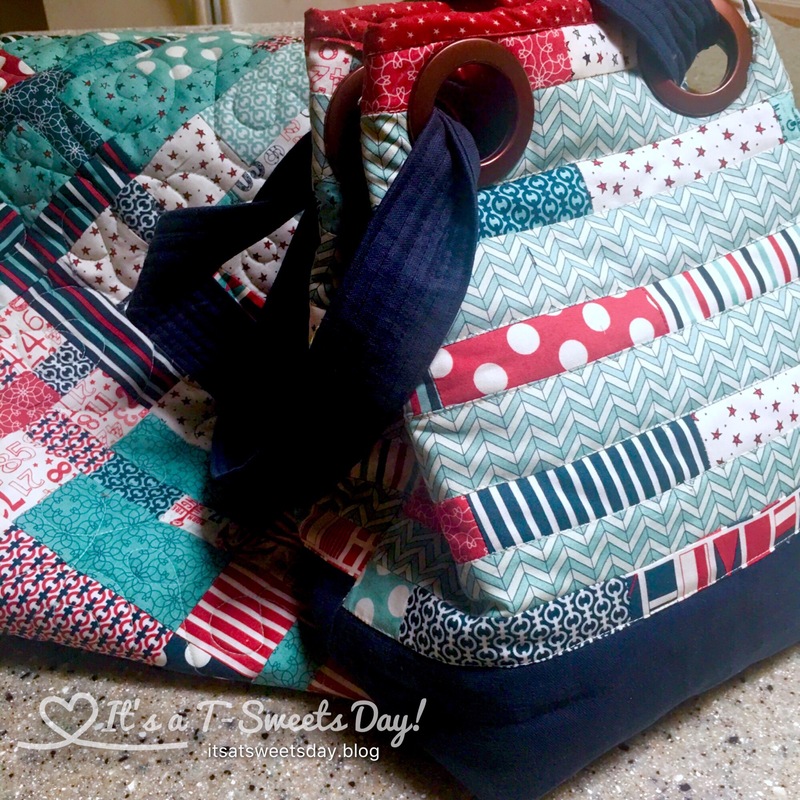 Scrap Happy Bag – It's a T-Sweets day! Published on July 15, 2017 July 13, 2017 by Tracy @ It's a T-Sweets Day! I helped my daughter in law make a beautiful quilt for her new baby boy. She cut, sewed, and then cut and sewed again. It turned out wonderfully! 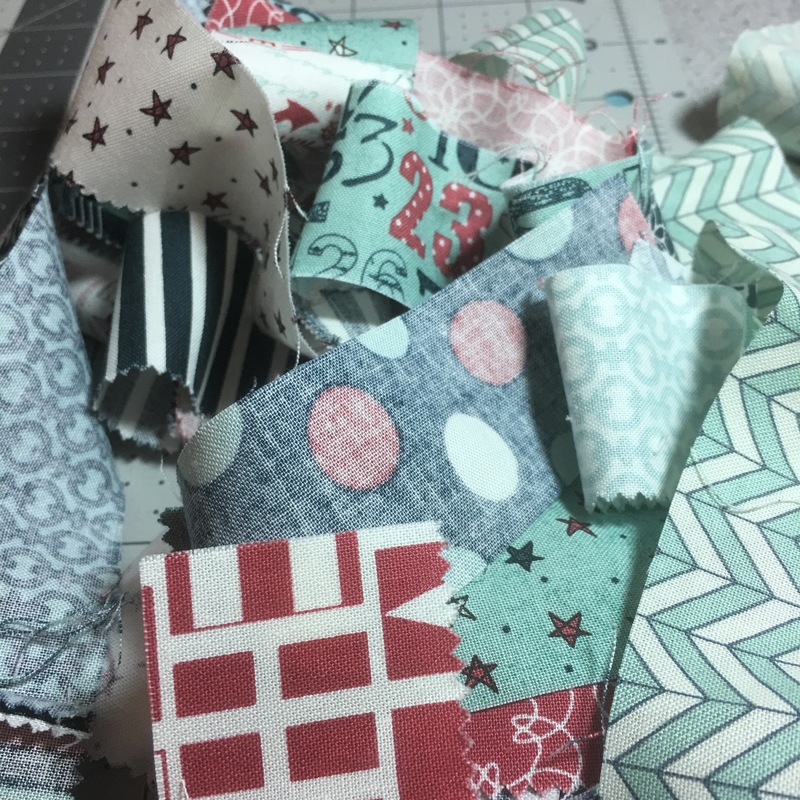 After it was all sewn together, there were quite a few beautiful fabric strips leftover. 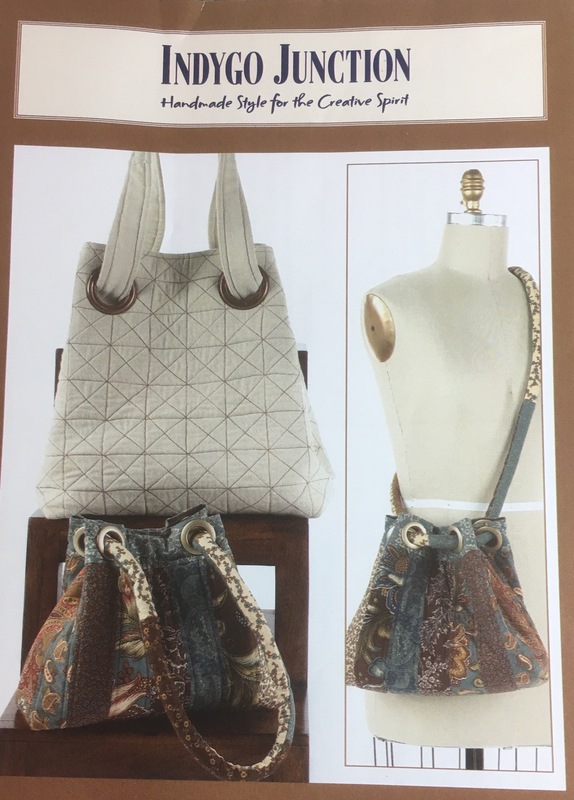 I can’t throw lovely fabric away, so I decided to gather them up and make a matching bag for her. 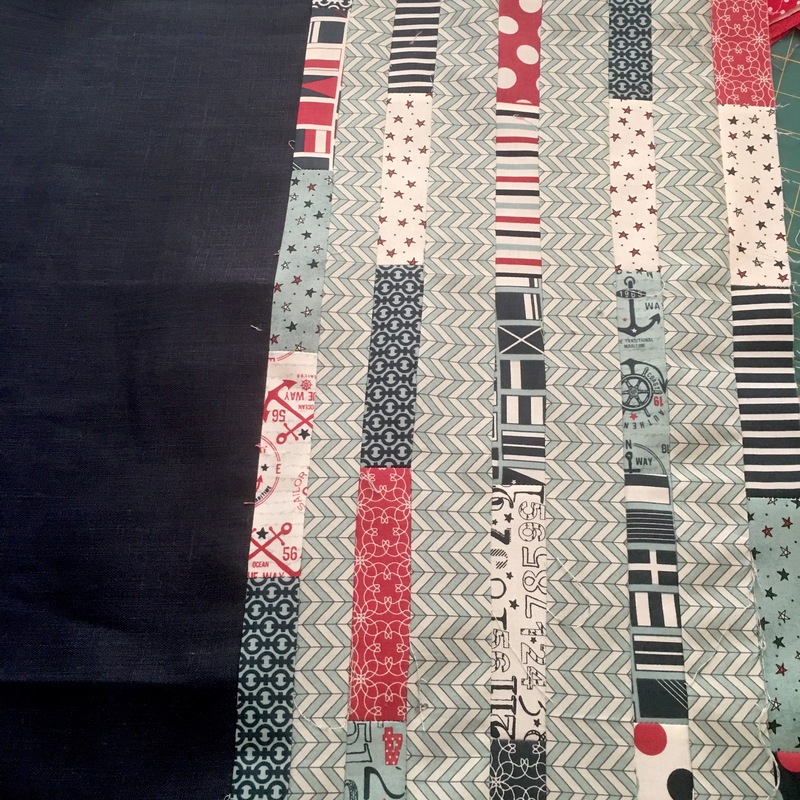 I sewed the scraps into strips and then quilted them to a backing. Looking good so far! I followed the pattern to construct the bag and then came to the grommet section. 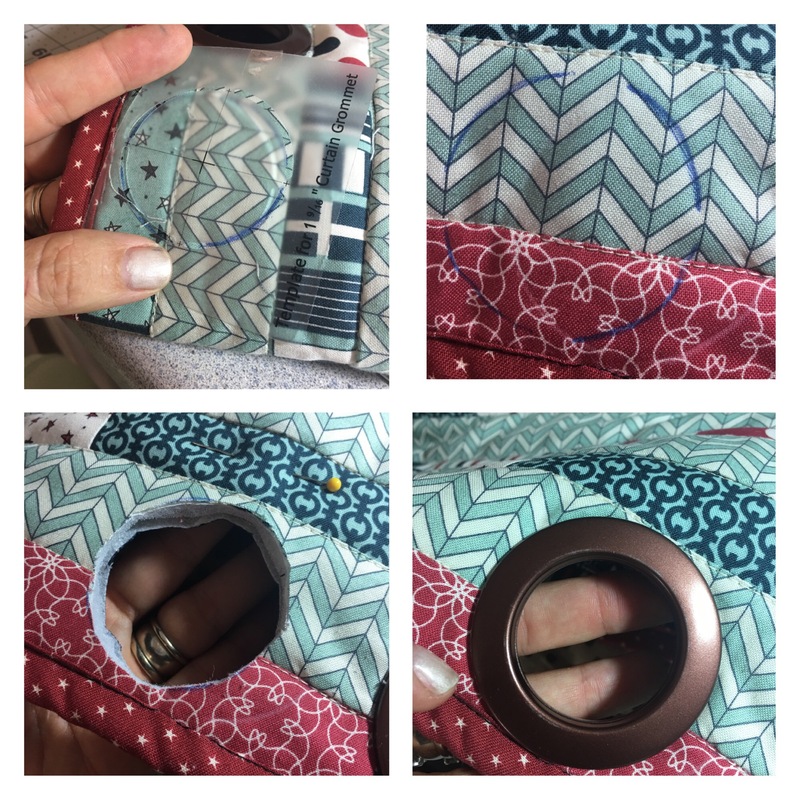 I used Dritz curtain grommets that I bought at Walmart but you can get them on Amazon as well. There was a template to mark the fabric. I took a DEEP breath and ﻿cut this large hole into my bag. Eeeeek!! That was scary!! I snapped the grommet in place. Woo hoo! They look GREAT!! Some of the grommets were easier to snap together than others. There is a lot of fabric in there! But they all came together:) The bag turned out so cute!! I really love the large grommets. I even used scraps to make an inside pocket to hold bottles or a phone. Here is the matching set. SWEET!! They look so good together:). I probably need to make another one for me! I hope you have a Scrap Happy Day! Previous Fantastic Bake Along – Quiche! Next Fantastic Bake Along -Quiche! Thank you Tonya! This was my first try at grommets, but they were so easy. I hope you give them a try and let me know how they turn out:)! Love both the quilt and the bag. Clever use of the scraps. I’m glad you like them Peggy! 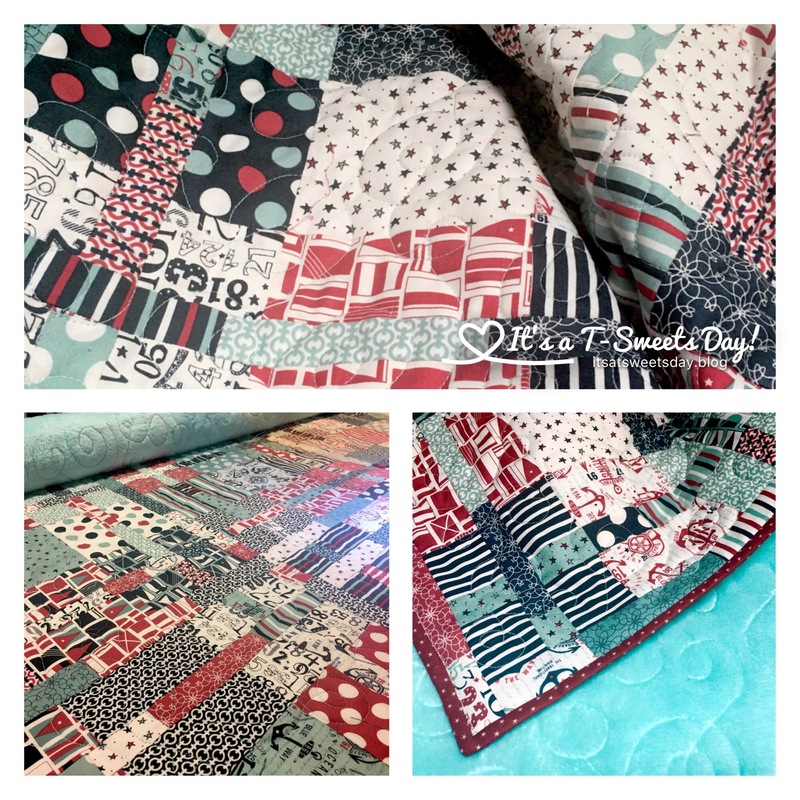 Being a quilter, I’m sure you know that those extra beautiful strips at the end of a project just can’t be thrown in the trash bin:). I hope you have a great day! Tracy, you have been blessed with such talent. Your gracious nature flows through the words of your posts. I just began following your blog. It is so enjoyable! 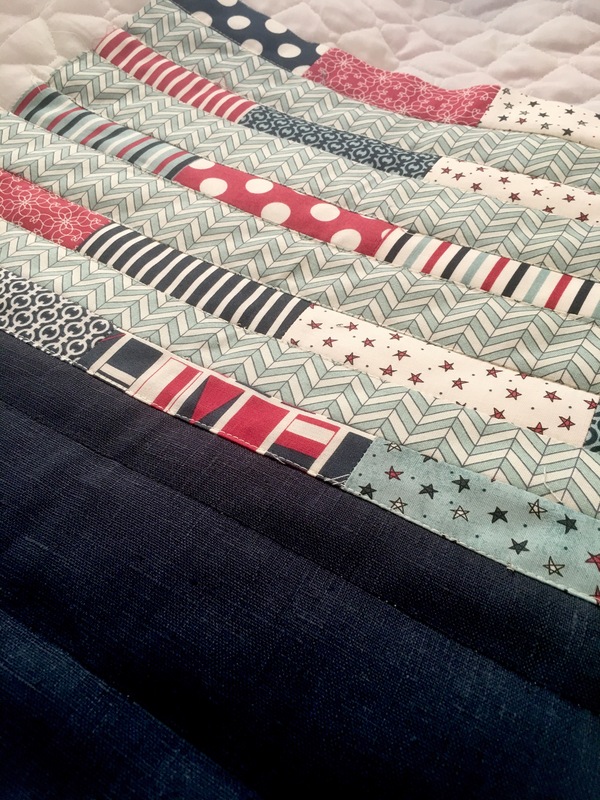 I am so glad my daughter-in-law, Delia, had her quilt work in sight when we Skyped. She sent me the link to your blog and you have inspired me. Thank you for sharing your wonderful gifts from God. And, can a new mom EVER have enough bags? I had one diaper bag, which worked, but there were so many times that I wished for something that I could put both our things in that looked a little more adult…especially once we were walking! Beautiful job Tracy, the grommets really make it sharp, and they will hold up well too! Those bags end up HEAVY! Hi Kathy! I agree on all accounts! I only had one bag. It must have been the way it was back then. And style…forget it! I’m glad that things have changed:). Oh wow…that is gorgeous 😍 The grommets are the perfect finishing touch! Thanks Tina! I agree:). 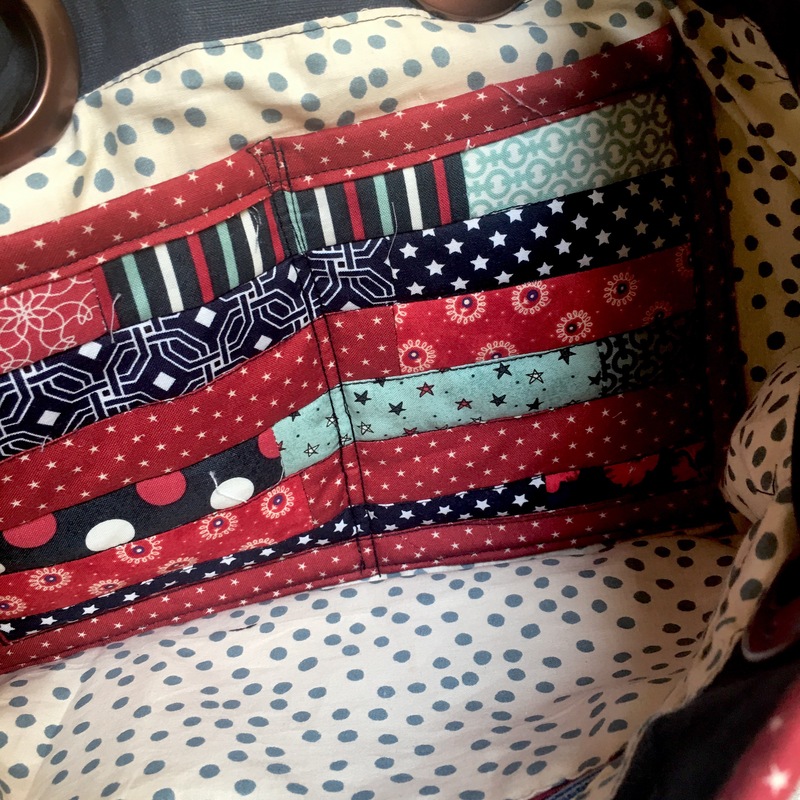 Who knew shower curtain grommets could make a bag so cute?! I’m excited to hear about your Bake Along:)! 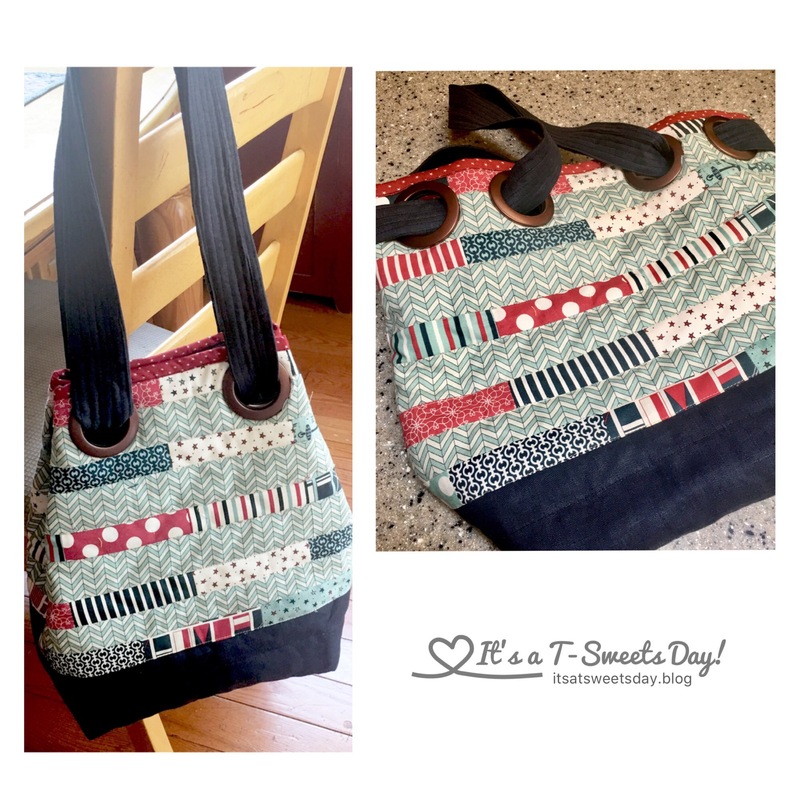 That is a very cool bag…it looks like it would be great for carrying a craft project too. Thank you Kate! I agree:). I think that is what ai like best about it. It could be a craft bag. Beach bag, or diaper bag. It would look great in aqua and pink with little flowers as well:)!! This was so fun and the grommets were a pleasant surprise:)! Don’t you love when an idea turns out so perfectly? This bag certainly did! I think I’d almost pass out cutting those big holes for the grommets. I had no idea that they would just snap together. I figured you’d need a certain (expensive) tool. What a great gift! Now YOU need one! Thank you Kathy! I really did have a hard time making that initial cut! lol:). I definitely need to make another! What a great idea! All new moms need a bag with them (at all times), this is so much nicer than anything bought! Those colours are just so perfect! 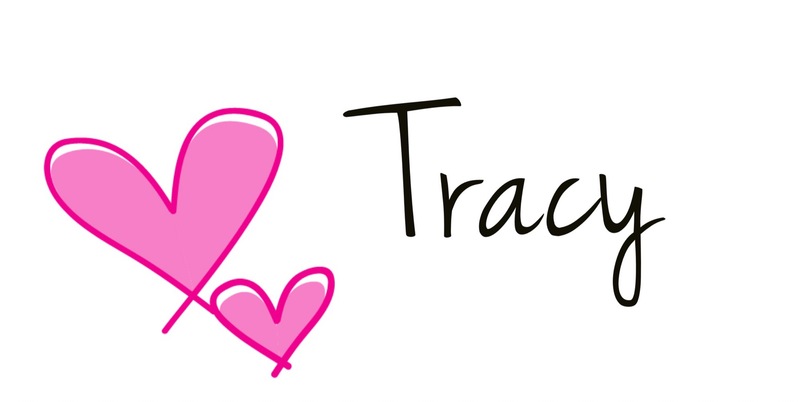 😍 you’ve done wonders once again Tracy!